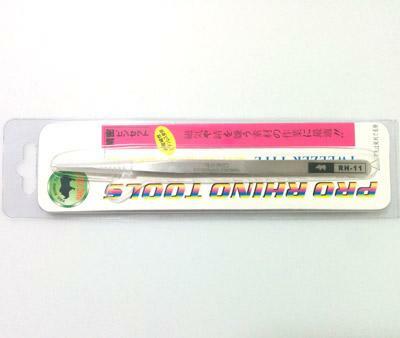 Super high quality Pro Rhino tweezers from the tool brothers in Huaqiangbei. A variety of ends perfect for placing SMD components. These are not like cheap tweezers - pound them into a table and the tips are hardly damaged. Shout out to Zach for discovering these at Hacker Camp Shenzhen #1!